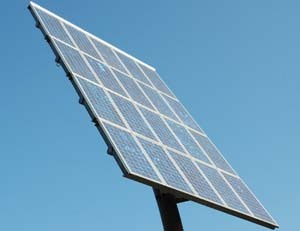 Another trade issue has surfaced in the US, solar panel manfacturers asking for tariffs applied to Chinese imports. The strange thing is, while US companies complain that Chinese companies are able to sell cheap because of government subsidies, the US companies are also receiving subsidies. “The methodology of this is not political,” said Frank L. Lavin, a longtime Republican who has held a series of appointments in Republican administrations, including overseeing the antidumping and antisubsidy investigations office when he was the undersecretary of commerce for international trade during President George W. Bush’s second term. But like many Republicans, Mr. Lavin was critical of the Obama administration for having provided a half-billion dollars in federal credit guarantees to Solyndra, now bankrupt, a California company with an alternative solar energy technaology. The US government should realize–some day–that imports that are cheap, whether subsidized or not, provide a net gain in welfare to Americans. 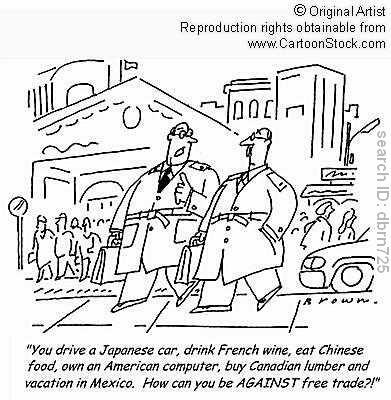 That is the foundation of free trade theory. 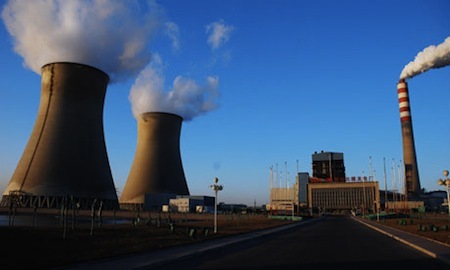 A new desalination plant outside of Tianjin is attracting attention because of the new government support for the project. While domestic demand for fresh water is expected to grow, this new industry may also provide fresh water for export. The government’s support is being compared to its support of the solar-panel and wind turbine industries. “You can either fight them or join them, and our philosophy is that China likely is going to be the next big desalination market,” he added. I am not sure this is a valid responsibility of government, to subsidize new technologies that do not promise profit. Maybe they do see it as potentially profitable in the future, or perhaps as a needed resource for Chinese society. Two stories today serve as good examples of the negative externalities that may come with development based on trade–external based development. One is about clothing manufacturers releasing dangerous chemicals into local water supplies. Add idas, Nike, and Li Ning are accused of releasing harmful chemicals into the Yangtze and Pearl rivers. Another is about Conoco-Phillips and leaking oil in Bohai Bay. They have been ordered to shut-down the pumps. The 840-square-kilometre (336-square-mile) slick emanating from the oil field in Bohai Bay — which ConocoPhillips operates with China’s state-run oil giant CNOOC — has caused huge anger amid allegations of a cover-up. On Wednesday, the State Oceanic Administration (SOA) said operations would not be allowed to resume before the source of the spill was fully plugged and “risks eliminated”, as fears over the long-term impact on the environment grow. An especially interesting story for me because my wife and daughter visited a beach on Bohai Bay just a few days ago. No reports at home about oil slicks, but I guess it might happen. The interesting observation to make here is how countries are encouraged to sacrifice domestic environment–and maybe public health–in the interest of development. Greenpeace said eight samples of wastewater discharge from two factories in the Yangtze and Pearl River deltas, identified as suppliers for the brands, contained “a cocktail of hazardous chemicals”. 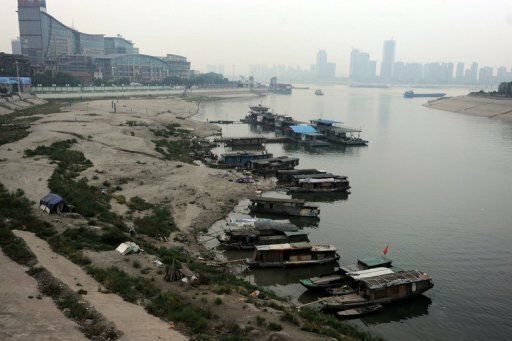 The Yangtze — China’s longest river — and the Pearl River Delta serve as a source of drinking water for about 67 million people, including those in Hong Kong, according to Greenpeace. “Our tests of the wastewater found toxic chemicals that have no place in our natural environment,” Greenpeace campaigner Vivien Yau told a news conference in Hong Kong. It is likely that these companies were facing restrictions that were not not very well enforced. Typically, China is enforcing rules now that some development has occurred. Amid all the news from Japan about the earthquake and tsunami, I wanted to write a post about the economic effects of that disaster. Of course the real costs come with the loss of life, but loss of infrastructure, electricity, and fresh water will cause hardships for the economy as well, as reflected in a lower valued Yen and lower investment levels. 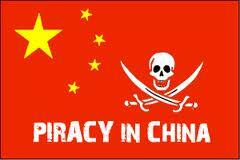 Another article caught my attention today–China Says 3001 Arrested For Product Piracy. 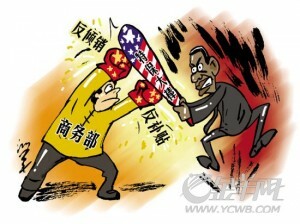 The article suggests that China may be getting more motivated to enforce patent and copyright laws. The suggestion was made that the ability to copy technology has prevented entreprenuers from innovation. “Intellectual property protection is essential for building an innovation-oriented country and achieving a shift from `China manufactured’ to `China innovated,'” Li Chenggang, deputy director of the Commerce Ministry’s law department, said at a news conference. He was joined by officials of China’s commerce, intellectual property and other agencies. My conversations with friends here, many of them managers of American or European factories, suggests that it will be a long time before the Chinese will be able to think and work in an innovative way. I suspect that these arrests are mostly to temporarily ease foreign complaints about piracy. I also believe that the complaints are coming from production companies who are the main benefactors of patent and copyright laws. The real innovation comes from designers, authors, and musicians who are motivated more by their work than by profits. Of course business is also capable of innovation, but much of the rewards for real innovation do not find their way to the individuals responsible, only to the people that hire them. Another story about an impending trade war between China and the US. The U.S. Congress is considering legislation that would treat what lawmakers call China’s undervalued yuan currency as an export subsidy, a step that would give the U.S. Commerce Department increased ability to slap duties on Chinese goods. The U.S. House of Representatives is expected to pass the bill this week, but its future in the Senate is uncertain. “If we take this additional step, it’s going to continue this downward spiral,” Tim Stratford, a former U.S. trade official who was part of a delegation visiting Washington from the American Chamber of Commerce in Shanghai, told reporters. This time at least there is a balanced look at the story, maybe even leaning toward criticism of the legislation. One story told there is about how China retaliated when Obama placed tariffs on Chinese tires last year. China placed tariffs on American chicken parts and a few US firms lost loads of money. My mind always turns to the benefits of importing lower priced goods. Not only does that allow people to save or to buy more, it increases demand for all kinds of other goods and services. That can mean more jobs in other industries, more profits, and a better standard of living. China is accused of attracting more customers by keeping the value of their currency artificially low. We should be thanking them for that. Young people in the US are building a new trend that rejects owning their own automobile. “It’s a matter of mind-set far more than affordability,” says William Draves, president of Learning Resources Network, an association that studies consumer trends and provides education and training services. “This generation focuses its buying on computers, BlackBerrys, music and software and views commuting a few hours by car a huge productivity waste when they can work using PDAs while taking the bus and train,” says Draves. Moreover, in survey after survey, Gen Yers say that they believe cars are damaging to the environment. Even hybrid electric vehicles don’t seem to be changing young consumers’ attitudes much. Living in China, I see my neighbors craving their first car, saving and borrowing heavily to buy as soon as they can. Then they sit in traffic for hours when their old bicycles would serve as more practical transportation. The car as status symbol is alive and well here. Though I have a typically American love of cars, I have found that living without one really simplifies one’s life and certainly costs less. I am glad to see some of the US is becoming a practical place to live without a car, and I hope China will soon get back to their bicycle culture. 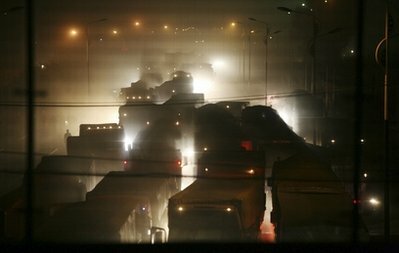 At least a couple of times, I have written about the terrible traffic problems here in China. Now there is a story about just how bad it can get. In this instance, most of the traffic is trucks rather than passenger cars. That means resources for production are being delayed for very long periods. Some are transporting food that is rotting and will have to be trashed. 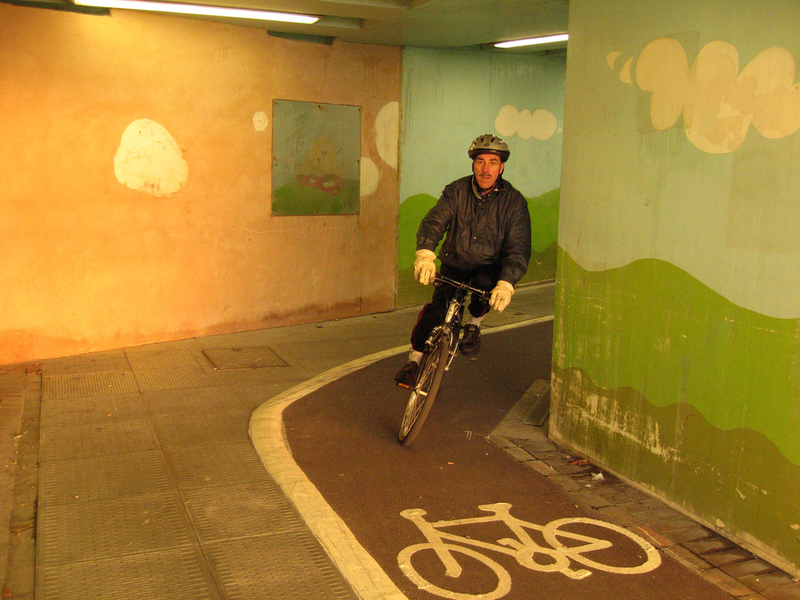 The article does mention some small measures sometimes being taken to reduce traffic. In Inner Mongolia drivers are only allowed to drive every other day, based on the license plate number being odd or even. The tone of the article is that this is a natural result of China’s strong economic growth. I am trying to think this through, but it seems to me that proper planning and design should allow us to avoid such problems. 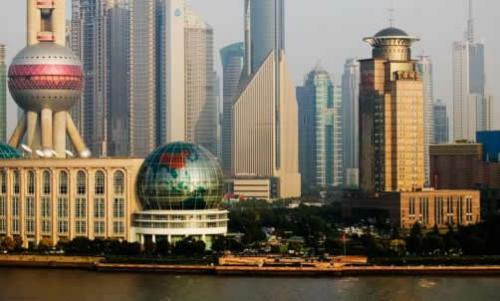 Yesterday China was announced to be the world’s second largest economy, overtaking Japan. As the article suggests, China has grown to have much greater influence over world markets and politics, especially commodity markets where China’s rapid growth has diverted resources and created new suppliers. Another article emphasizes that China’s large economy does not imply that it is wealthy. The population is so large that per capita GDP is only $3,600 in China, compared to $46,000 in the US. Poor income distribution is also a problem and exaggerates the real poverty of most Chinese. The question not many try to answer, Can China continue to grow at such a phenomenal rate?